This is a secure membership application. Your information will be encrypted at all times while in transit. 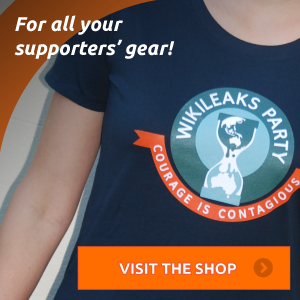 I hereby apply to become a member of The WikiLeaks Party. I declare that I am enrolled on the Commonwealth electoral roll at my address as shown above. 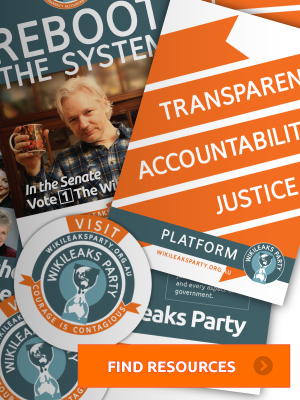 I declare that I am not a member of another party and agree not to join another political party whilst a member of The Wikileaks Party. I declare that I will abide by the terms of the party constitution as published on the party website. I am aware that it is a serious offence to make a false declaration. Credit Card or Paypal payment of the membership fee can be made after clicking submit below. You will be sent a confirmation and receipt once your application has been processed.